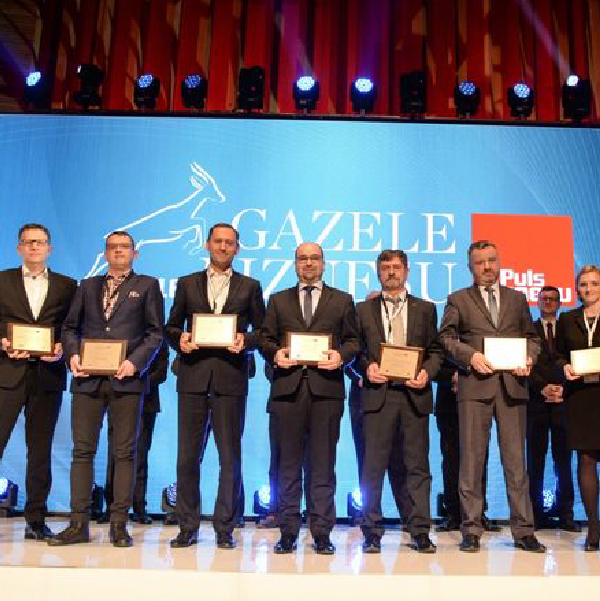 A ceremonial Gala of the Business Gazelle 2016 Awards – prizes awarded every year by the „ Puls Biznesu daily to the fastest developing Polish companies - was held on February 1 st this year in the Academy of Music in Katowice. One of the laureates was Virtu. The award on behalf of Virtu ’ s Chairman of the Board, Mrs. Dagmara Cielecka, was accepted by the Sales and Marketing Director - Grzegorz Kowalik. Christmas campaign of the leader of ready-cooked meals gathered i n fro nt of TV sets more than 3 million watchers! Owing to fast and easy- to -make meals offered by Virtu, the Poles once again believed in the magic of Christmas. Virtu ’ s customers received an extraordinary Christmas present: it ’ s time for what is really important ! The leading manufacturer of ready-cooked meals felt obliged to develop a recipe for the Christmas lack of time – a problem which concerns millions of people all over the world. It became a mission of the campaign conducted in December to reduce time for self- preparation of Christmas-Eve dishes by offering customers hig h-quality Christmas ready- cooked meals. The effect ? Nearly 80 ,000 Polish families won additional 4 hours for common celebration of the birth of Jesus! The advertising spot, created for the purposes of the campaign, was broadcast in the most popular TV stations: TVP1, TVP2, TVN, POLSAT and in nearly fi fty theme channels. It was seen by 3,200,000 watchers! Information about the campaign was published in trade press with circulation of more than 70 ,000 copies : „ Wiadomo ś ci Handlowe , „ Poradnik Handlowca , as well as in guides most widely read by the Poles : „ Dobre Rady , „ Claudia . Information could not be missed on the biggest trade portals , such as : poradnikhandlowca.pl, hurtidetal.pl, handelextra.pl, dlahandl u.pl. The Christmas competition organised on Facebook enjoyed the greatest interest. Laureates received from Virtu Sodexo coupons for Christmas shopping of value 1 x 1000 PLN and 10 x 200 PLN . The post on the competition was received by 90 ,000 portal users, the action scooped almost 1,000 positive comments. Owing to the conducted campaign the Virtu ’ s customers were given valuable time, which they used on doing what they like with people they love , the company – earned revenues at the level of 150% against the plans made before the campaign. Spend with Virtu moments full of taste and try delicious French bread pizzas with the best additives applied by hand. It can be an excellent snack food at a carnival party. The Virtu ’ s French bread pizzas can be delicious and fast- to -make snacks for you and the people you love to spend time with. They contain classical mos t popular additives. Moreover, they are ready in just ten minutes, therefore they are i deal for carnival parties. Virtu ac tively supports the New Year ’ s aid action for animals under the Zawiercie animal shelter ’ s care. 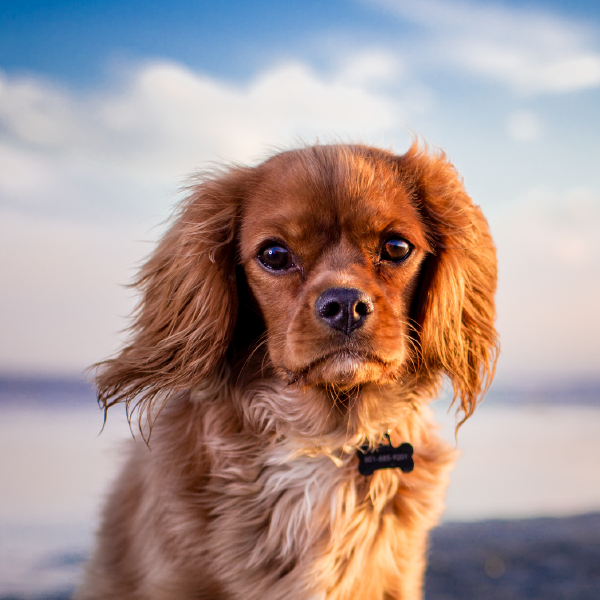 Everyone who comes to see the home match of the volleyba ll club Aluron Virtu Warta Zawiercie will have an opportunity to contribut e to improvement of conditions in the shelter, by bringing and gifting feed, vitamins or toys for dogs and cats. The aid action for animals under the Zawiercie animal shelter ’ s care starts with the New Year, on the initiative of the Learning Centre Torus in Zawi ercie . In the most difficult for animals winter season, a collection of feed, as well as vitamins and toys for dogs and cats will be organised before and after every home match of the Volleyball Clu b Al uron Virtu Warta Zawiercie, which is sponsored by Virtu. We encourage fans to bring ready-made packages to the matches. Let each of us donate for the sake of animals in Zawier cie! The Leader of cooled ready-cooked meals could not start new yea r in a better way! Virtu wins more prizes, this time by finding a place for itself among the circle of laureates of the „ Business Gazelle 2016 Award. 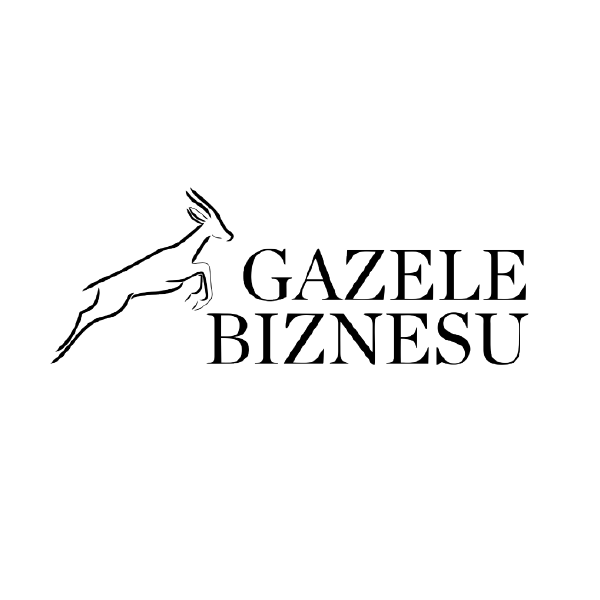 The „ Business Gazelle ranking is organised by economic daily Puls Biznesu. Its pr inciples are fair and transparent, based on verified data presented by compan ies in their annual financial statements. Business Gazelles are awarded to companies which owin g to their dynamic development become market leaders. The award won by Virtu confirms a very strong position of the company and quite uncommon fast development of enterprise. Virtu wins the Consumer’s Golden Laurel! Once again Virtu confirms its unshaken position of the leader in the category of cooled ready-cooked meals. This time it wins the Consumer ’ s Golden Laurel, an exceptionally prestigious and valuable prize, as it is awarded by Consumers t hemselves. The Consumer ’ s Laurel is a nationwide consumer project, the objective of whi ch is to choose the most popular products, brands and services in their categ ories. Ev ery year this nationally conducted plebiscite provides to manufacturers and distribu tors an answer to one of the basic questions: which products and services are currently most popular in their groups. 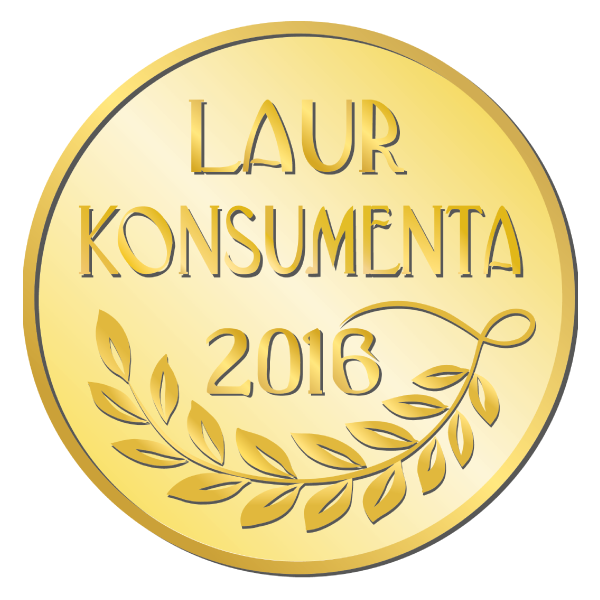 In 2016 Vi rtu was honoured by the highest, golden badge of Consumer ’ s Laurel. This honour confirms strong position of the company, high brand id entification and its high rank among the present and prospective Customers. Virtu would like to thank its Customers for their confid ence! Chairman of Virtu, Mrs. Dagmara Cielecka, as one of the most enterprising women in Poland! A ceremonial Gala, during which this year ’ s laureates of the prestigious ranking of the 100 most enterprising women in Poland were announced, was held on December 12 th . 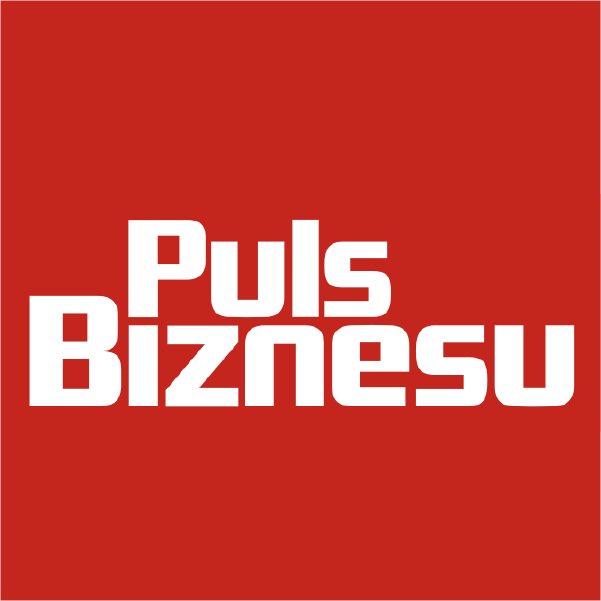 6 th edition of the plebiscite was organised by the „ Puls Biznesu daily , the readers of which along with users of portal Bankier.pl choose 100 most valuable women of the Polish business. The Chairman of Virtu, Mrs. Dagmara Cielecka, was incl uded in this honourable circle. The ceremony was held in the Teatr Wielki – the Polish National Opera in Warsaw. The initiative is patronised by pride and a willingness to promote modern, enterprising women of the Polish business. Companies managed by the businesswomen taking part in the Gala are distinguished by sustainability, perfect condition and pr ofit dynamics. The „ Puls biznesu notes values which were not included in reports – namely good reputation and positive juridical history. The Chairman of Virtu – Mrs. Dagmara Cielecka is one of the women who manage thriving companies which generate cash revenue on sales exceedi ng PLN 50 million. This honour is an acknowledgment of extraordinary approach to the work performed, as well as an enormous effort exerted in quite uncommon development of Vi rtu – the company characterised by profit dynamics (20,47%) and sale dynamics (6, 41%). On December 13 th , the „ Puls Biznesu daily released an extra with profiles of the Polish women honoured in the ranking. Being invited to gala of suc h a format is an incredible honour, which certainly inspires and motivates to further successes. New dinner dishes already in sales! 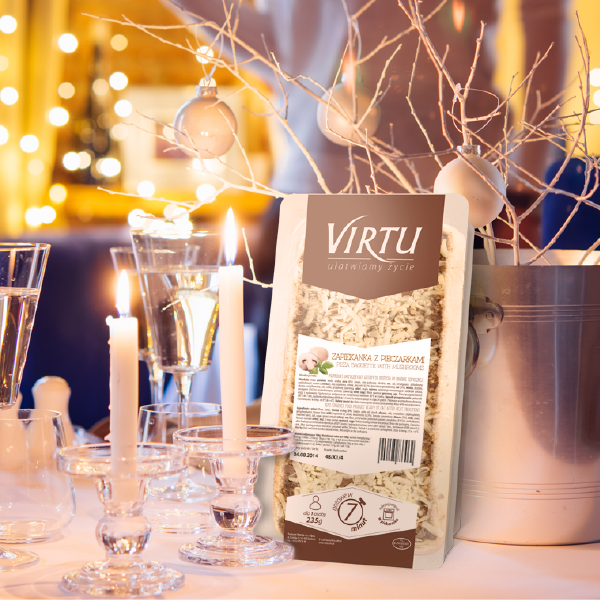 For the Christmas period, Virtu introduces ready dishes, already checked and appreciated by our clients, in characteristic, green Christmas packaging. They make the products stand out in shopping shelves. 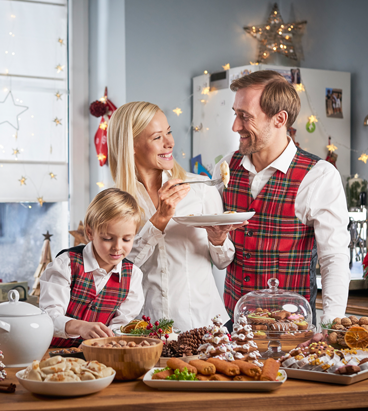 The Virtu’s Christmas offer includes dishes which are not only of high quality, but also easy and fast in preparation, which means the dishes which help the consumers to save their time and reduce the stress connected with independent preparation of meals for a Christmas Eve supper. The offer includes the products most often searched by consumers, such as: sauerkraut-and-meat stew, small dumplings with cabbage and mushrooms, cabbage with peas, cabbage with mushrooms, pancake rolls, pasties, small square noodles and dumplings with cabbage and mushrooms. Sales of Christmas novelties will be achieve strong marketing support with a TV campaign, Internet actions, press articles and POS materials. New, Christmas range of ready dishes available soon! With our clients in mind, Virtu is again expanding its range of fast and simple in preparation ready dishes which are characteristic of high quality and lack of artificial additives. 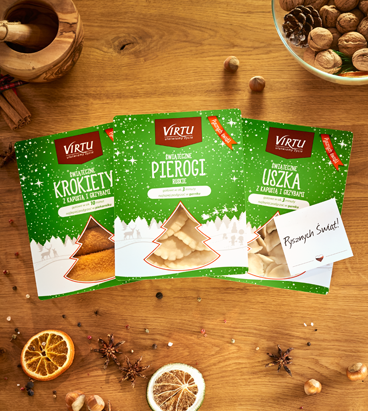 Virtu added two novelties into its product range: Chicken loins with beetroots and potato puree as well as Ground pork chop with fried cabbage and potato puree. Ready dishes are prepared on the basis of high quality ingredients, they not include preservatives, artificial dyes and taste intensifiers. 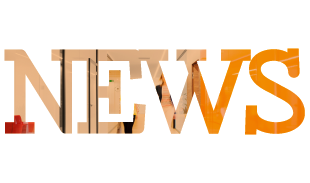 up is placed, strong and distinct branding as well as legible font and packaging window are the additional advantages of new Virtu products which certainly will result in high increases in producer’s sales. 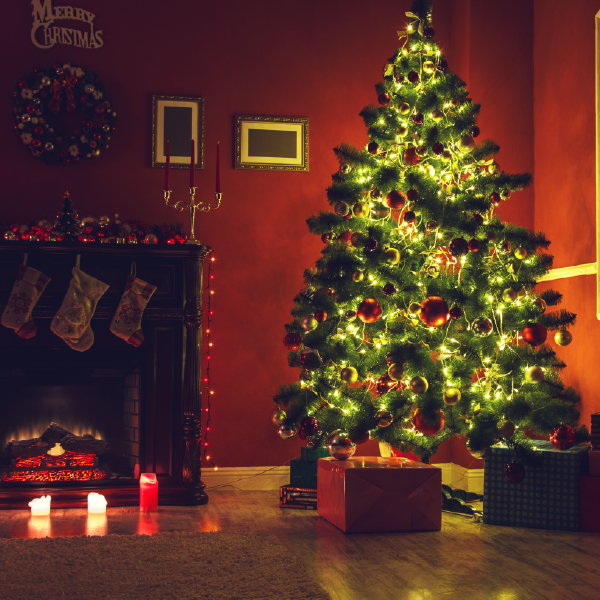 Large Christmas campaign on TV! As the pre-Christmas period started, we launched our great Virtu promotional campaign. Our products will be promoted on TV, female magazines and on the Internet. We opened a competition on our fanpage TasteVirtuousos in which the main prize is a voucher worth PLN 1000 accepted in the shops located all over Poland. In order to participate in a competition, you only need to share a chosen competition picture, tag an addressee and complete the sentence placed on the paper note. The most interesting sentences will be prized with a vouchers worth PLN 1000 and PLN 200 for Christmas shopping. Check the competition on our fanpage!